We have designed a lightly padded harness for our chest rigs. 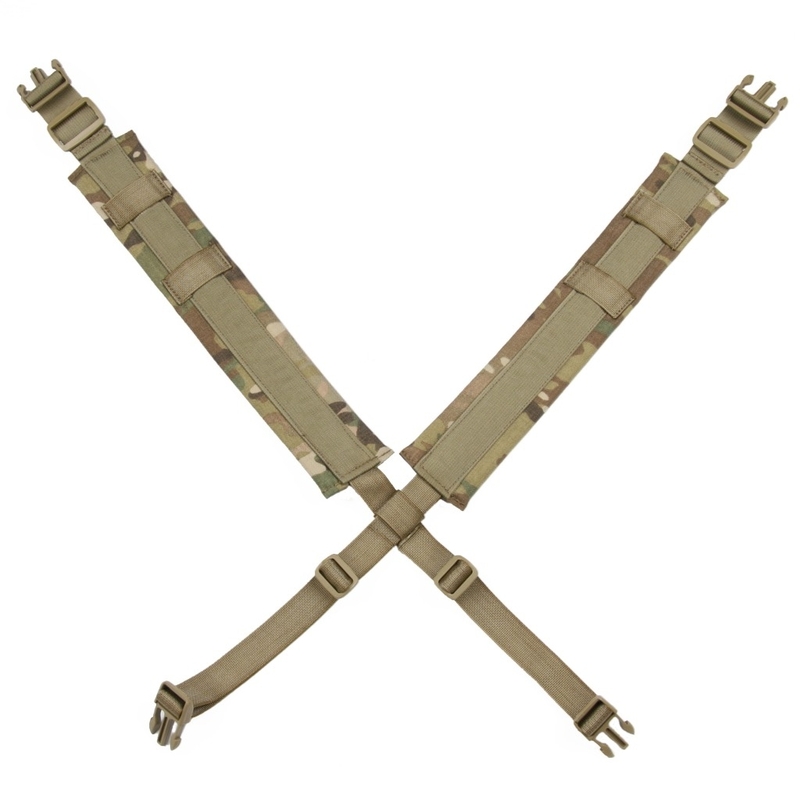 The one piece harness is available for the entire Beez Combat System's chest rig line. 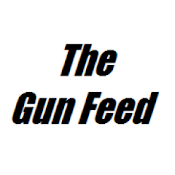 It will work with our AK47, AK74, Recon, 762 and Combloc chest rigs. We encouraged our designers to find a simple solution to add comfort, function, stability, and enhance performance to our chest rigs. The padded harness is the ultimate upgrade for you BCS chest rig. 2-Amount of molle/modular pals webbing. 3- Velcro loop for ID patches. 4-Drag handle shape and placement. The padded harness provides additional comfort while providing a platform to mount a hydration carrier. 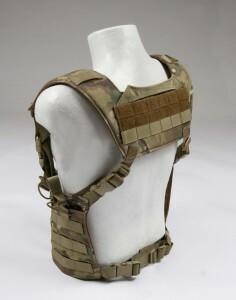 With three rows by six columns of molle there is plenty of molle to mount the largest hydration carriers on the market. If you are not running a hydration carrier you can mount other pouches. With the additional weight of a hydration carrier and water a drag handle/carrying handle was a must. We wanted to keep the drag handle as low profile as possible. The drag handle is made with 1.5” webbing to keep the signature low while extending across the back of the padded harness for easy access. If you are running ID patches there is 2” of velcro loop that go the length of the molle webbing. Plenty of velcro to add other patches as well. The shoulders are 2.5” wide and have two pieces of webbing on each side for the routing of a hydration tube or coms. The two pieces of webbing provide plenty of routing options while keeping the padded harness low profile. 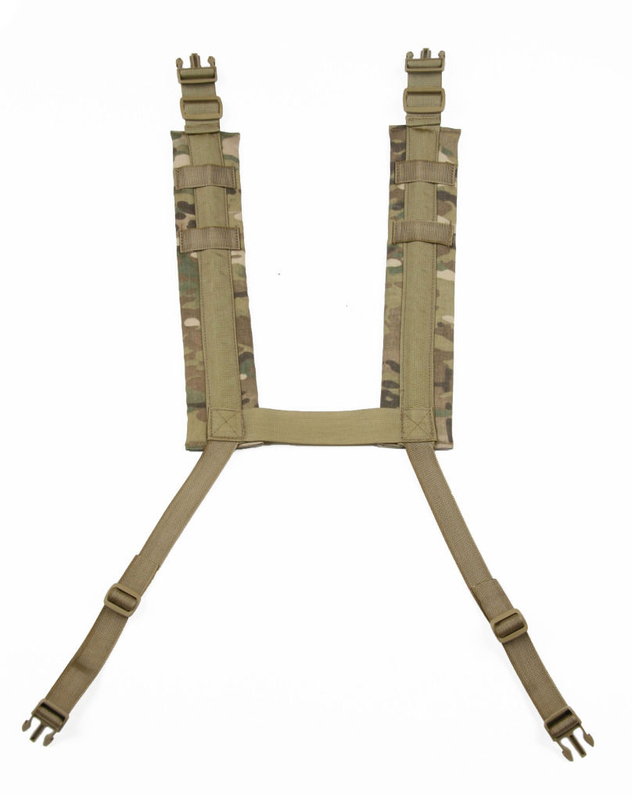 The padded harness is available in Multicam, A-TACS AU, A-TACS FG, Coyote, Khaki, Ranger Green, OD, Woodland and Black. Don't forget to check out their padded X and H harness. 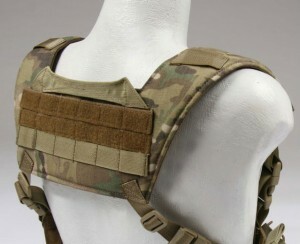 I might have to get one for my BCS Recon/LE Chest Rig. 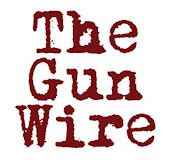 You can check out my full review here. This padded harness doesn't only look nice but it is also very comfortable and durable. I won't hesitate buying this one. So to anyone looking for a great expanded option for enhancing the utility and comfort of their chest rig, this is highly recommend. Browning "New" A5 Hits the Shelves!